I didn’t listen to the tape immediately once I got it home. In fact, it sat unplayed for months. Thin Lizzy meant little to me and I didn’t recognize any of the song names on the label. Besides, it was a freaking 8-track and thus stood isolated from my greater, mainly vinyl music collection. When I finally did decide to listen to the album, probably out of boredom, I was surprised at how good it was. Sitting there in the living room of my childhood home blasting the music out of my parents’ stereo system, I first noticed how uniquely forward in the mix the bass guitar sounded and was immediately won over by the “story song” nature of the first track, “Johnny.” Apparently drug-addled Johnny was on the run after having killed somebody and might just have to do it again. I was (and remain still) a sucker for story songs. The second track, “Rocky,” introduced me to Thin Lizzy’s twin lead guitar set up and I was blown away. I was all about four-piece hard rock bands but was mired in the belief that one of the guitar players was “lead” and the other was rhythm, period. Hearing those dual guitar solos in which both virtuosos played the notes in unison followed by stretches where each unleashed separate but perfectly simpatico overlapping leads rocked my world. Continuing on, I was swept up by a series of slower, grooving ballads with searing, evocative guitar lines and lyrics about gutter bums, apologetic lovers, and famine victims – one song even had a spoken-word intro(!). The finishing stroke, coup de grâce, pièce de résistance that was the song “Massacre” hit me like a hammer. It had everything; a sort of marching-into-battle intro, soaring guitar lines that sounded like some sort of hard rock national anthem or rockin’ funeral dirge, and lyrics about 600 vaguely-identified soldier heroes doomed to overwhelming defeat and unceremonious death in some arid, sand-swept land. 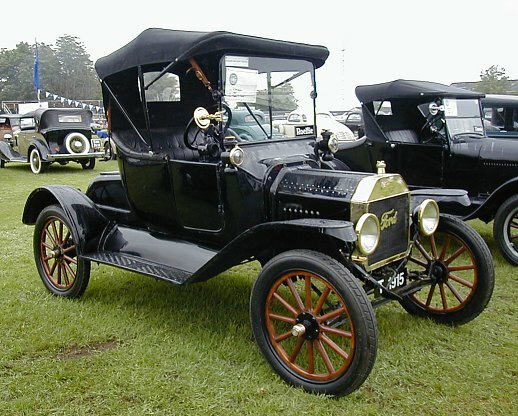 Rhyming “bandolero” with “doesn’t care though” still seems to me to be poetic genius even 32 years later and I continue to mentally strive to picture the “point below zero where the sun can see the land.” (What is this magnificent, mumbo-jumbo place that I know must exist somewhere, somehow? Do I need chemical enlightenment to travel there?) After hearing “Massacre” for the first time, I knew that no matter what future path my life took, I would irrevocably be, from that day forward, a Thin Lizzy disciple. While it got regular listens during those initial post-purchase years whenever I had the house to myself and could bogart the folks’ stereo, “Johnny the Fox” eventually faded away in the mid-80s along with all its brother 8-tracks as the endless, unfeeling march of technological advance left them in its wake. As Mormon mission, college, marriage and career intervened to muddle my priorities, I never managed to replace the album on vinyl. It finally took Metallica’s cover of previously-unknown-to-me Thin Lizzy song “Whiskey in the Jar” on their 1998 Garage Inc. album to snap me out of my stupor and remind me of my partisan responsibilities. I ordered “Johnny the Fox” on CD and have not strayed from the path since. I’ve broadened my Lizzy awareness, to include buying just now in 2012 the band’s first two, quite distinct but nonetheless outstanding, albums from 1971 and 1972. 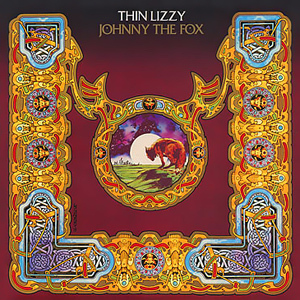 However, “Johnny the Fox” remains my unchallenged Thin Lizzy touchstone. Thin Lizzy’s bass-playing black Irish vocalist, principal songwriter, and frontman Phil Lynott died in 1986 from pneumonia and heart failure brought on by years of alcohol and drug dependency. Over the band’s 13 active years of studio work from 1970-1983 various electrifying lead guitarists lent their talents to the Thin Lizzy legacy, to include the “classic” mid-to-late 70s dual attack of Scott Gorham and Brian Robertson and the in-again/out-again participation of the recently-passed Gary Moore, which reached its zenith on 1979’s “Black Rose” album. Despite the line-up changes, Lynott’s unique, emotion-filled voice and the group’s hard-rock-with-a-groove-laden-heart essence always remained. I personally wouldn’t throw any of their output aside. A band called Thin Lizzy featuring long-time guitarist Gorham and all-but-permanent drummer Brian Downey continues to tour as I write. My right-thinking son saw them open for Judas Priest in Utah in October 2011 and had no complaints at all, albeit recognizing the unavoidable reality of their semi-tribute band status. While others may judge, I count the fact that my 90s-birthed boy can sing along to the entirety of “Massacre” among my greatest fatherly achievements. Motörhead mainman and unapologetic Thin Lizzy fan Lemmy Kilmeister often pulls out the Lizzy tune “Rosalie” in concert and seeing the ‘head perform the song live during a 2007 show in Caracas continues to be a cherished head-banging memory. Thank heavens for thrift stores and misleading band names! Once again I assume you have sent this to Rolling Stone. I’ve got it going on Pandora right now, you are going to end up educating me. Home stereos with 8-track players, 63c purchases, foxy wolves and vixen ladies… great story. And isn’t that cover superb! Must have been lifted from the Book of Kells, surely. Thanks for the time-travel visits to old posts, VC. I hope you didn’t feel obligated by my recent forays on your site. I’m just entertaining myself there, not doing you the service (which I hope you will take as the compliment I mean it to be). As for the reference to the Book of Kells – which I of course understood immediately and did not in any way have to Google —>>> it’s Irish!! Be assured, it’s enjoyment not obligation. Adds a new dimension to the cover, don’t it? !